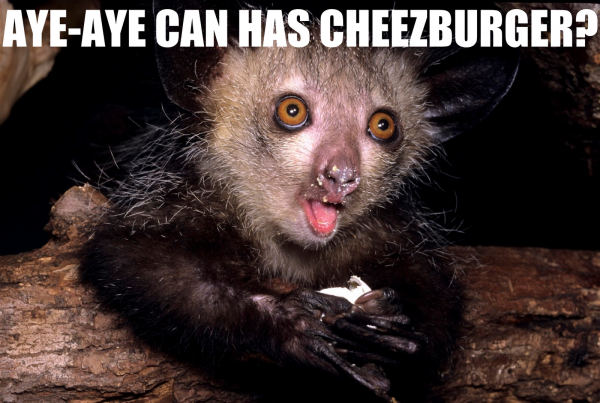 What The Heck Is An Aye-Aye? 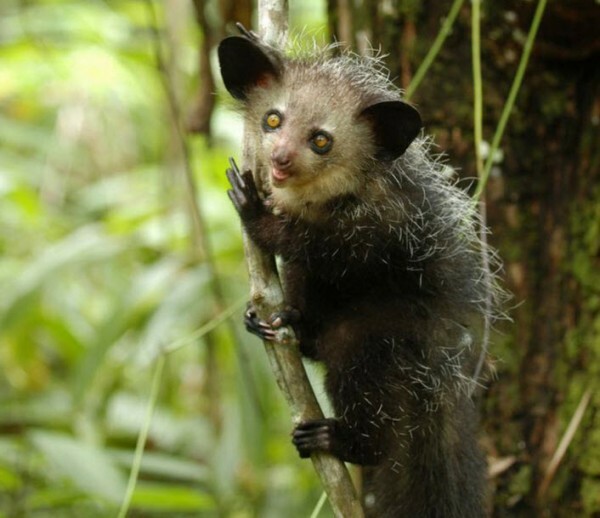 In Madagascar, Aye-Ayes, christened the “demon primate,” are considered evil omens. 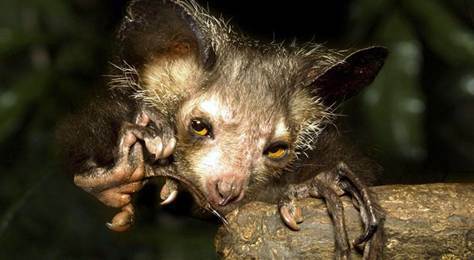 There’s a superstition that if an Aye-Aye points its middle finger at you, you are condemned to death. 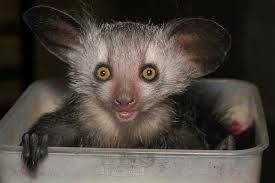 The Malagasy believe the only way to reverse the curse is to kill the Aye-Aye on sight. Combine that with habitat loss and the result is an incredibly unique species of lemur being driven to extinction. 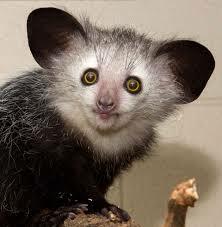 This is an Aye-Aye. And this is why you should care. 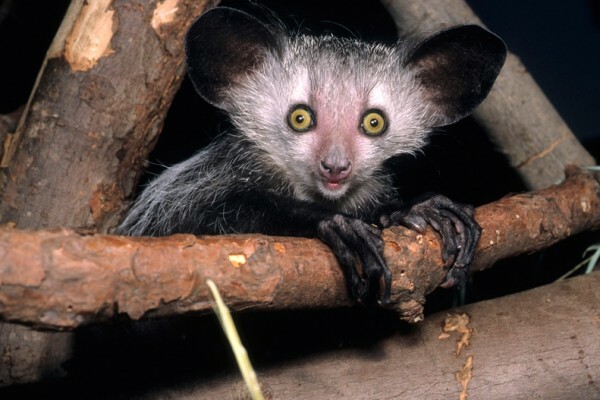 The Aye-Aye has an awkwardness that’s unmatched by any other animal. It would be a shame to lose such a relatable animal to extinction. No, the Aye-Aye can’t kill you by sticking up its middle finger—a superpower some of us wish we had—but it can kill grubs by using this method. Take a closer look. 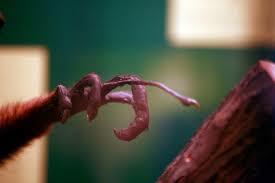 The Aye-Aye uses its long, thin middle finger to tap on wood at an average speed of eight times per second. It then puts its bat-like ears to the bark and listens for movement. If grubs are present it’ll use its sharp teeth to gnaw at the bark. 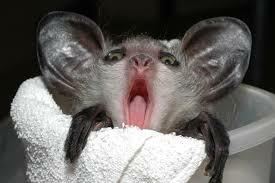 Then the Aye-Aye will stick its gnarly middle finger into the tree and scrape around for the poor, unsuspecting grub. Pretty cool, huh? This talent would be lost if Aye-Ayes were to go extinct. The only wild population of Aye-Ayes is found in Madagascar. It would be a tragedy to lose that population. You know, in an ugly pug kind of way. To learn more about Aye-Ayes and join in on the conversation about saving this endangered species click here.